Hey there! I'm SaliaNifo and I've been learning how to make games recently. I started programming in C++ when I was 13 making a modding program for Age of Empires, Age of Kings, and Star Wars Galactic Battlegrounds (and their expansion packs). When I went to college I lost interest in working on the project, and handed the source code over to the community to continue development. 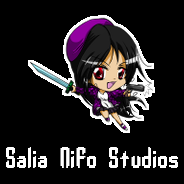 When I came back from college I met my wife, who had been making games with RPG Maker since she was 13, and it got me interested in making games. I started learning RPG Maker, but it wasn't really my style. I decided to start learning how to write my own games from scratch and decided to make TicTacToe. I found tutorials on SDL (http://lazyfoo.net/tutorials/S...) and started learning. I made a pretty decent TicTacToe game that just used the mouse. Taking what I learned from that experience, I started working on a Pong clone. I ended up with a 1-2 player game called Paddle Battle using a retro design style, scanlines and all. At this point I noticed I was writing a lot of boilerplate code around SDL functions to make them more object oriented. I decided to look for another multimedia library, one that had an object-oriented design, and came across SFML (https://www.sfml-dev.org/). I started a new project making a Tetris clone. Development with this library went a lot faster since I wasn't writing wrappers around everything anymore. After two weeks I had a working 1-4 player game called Nifo Blocks. I didn't entirely finish Nifo Blocks. I had planned on some additional features, but I ended up getting too busy to work on it for a few months, and couldn't get back into it. I started working on trying out a few different test projects, including tilemaps, entities, etc, but wasn't really getting anywhere, so I took a bit of a hiatus from programming for awhile. When I got laid off from the factory I had been working at, I decided it was time to start programming again. I went through my last few projects, and separated the reusable parts into a library I called SaliaEngine, and began working on what became DeepSpace Shootout. Battle your friends in an all-out frenzy amidst a dangerous asteroid field! Relive an old arcade classic!